Road transporthas increased dramaticallyafter Slovenia joined the EU, as the volume of tonne-kilometers of Slovenian transport in the period 2004-2011 increased by 83%. Its growth in Sloveniahas continued despite the economic problems in the EU, except in aviation transport. 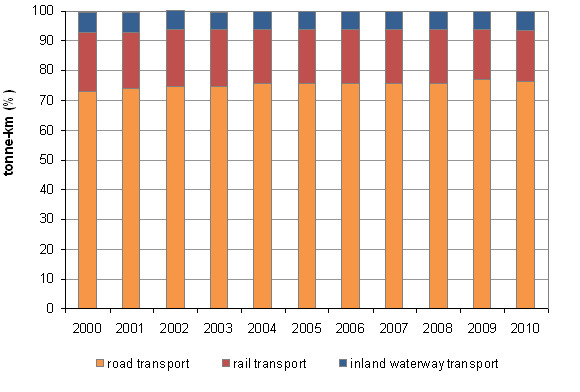 Particularly alarming is the growth of road freight transit through Slovenia.